NO DOGS the first night of Obedience 101 or STAR Puppy. Length: Puppies may attend the rolling admission 30 minute sessions as long as they are under 17 weeks. Puppies go through a critical socialization period before they are 16 weeks old. This class helps owners and their puppies navigate this socialization period through sounds, sights, and other important puppy experiences, in addition to puppy play time, to best set puppies up for a lifetime of success and learning. Puppies should be 16 weeks or younger. This class is offered on rolling admissions, meaning you can join any week. No more waiting for a new session to start while your puppy is meanwhile outgrowing their socialization period! Puppies under a year old and their owners will benefit from the AKC's S.T.A.R. Puppy program where they will learn the Socialization, Training, Activity, and Responsibility aspects of raising a puppy. 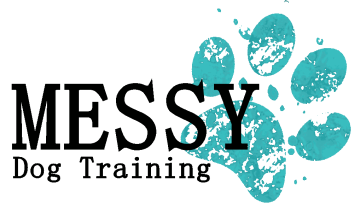 The perfect class for puppies too old for the Puppy Experience Class, we will focus on the manners, basic training, and care necessary to give puppies the best start in life. Graduates will receive a certificate from the American Kennel Club. NO DOGS THE FIRST NIGHT. This class will utilize clicker training to teach loose leash walking, sit, down, stay, coming when called, leave it, and other basic behaviors as time permits. Owners will also learn how to better communicate with their dog, so they can continue to train their dog at home and in the future. Dogs of all ages are welcome to join. NO DOGS THE FIRST NIGHT. In Obedience 201, we will expand upon and fine tune the skills learned in Obedience 101, as well as work on the skills necessary to take and pass the Canine Good Citizen test. Dogs will learn to sit politely for greetings from people and dogs, stay calm around distractions, and other manners and skills necessary to a well-rounded family companion. Click here to view a summary of the CGC test exercises.